DENSO Air Filter - Dezod Motorsports Inc - Home of the automotive performance enthusiast since 2002. With engineering and production facilities all over the globe, DENSO is a leading supplier of components to the world’s automakers. That engineering leadership includes air filter technology, which is shared with the automotive aftermarket in the full line of DENSO First Time Fit® replacement air filters. DENSO filters employ three successive layers of filtration media to trap a much wider range of particulate sizes than plain, single-layer media. Precision-molded seals eliminate bypass and ensure a factory-quality fit in the air cleaner housing, making installation a breeze. 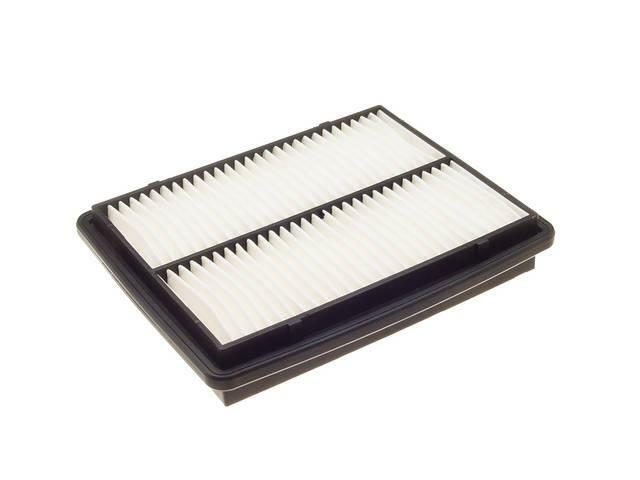 The air filter is the last line of defense against the harmful airborne abrasives that have been proven to wear out engines before their time. With OE-quality engineering and materials, DENSO First Time Fit® air filters supply car owners and technicians with peace of mind.